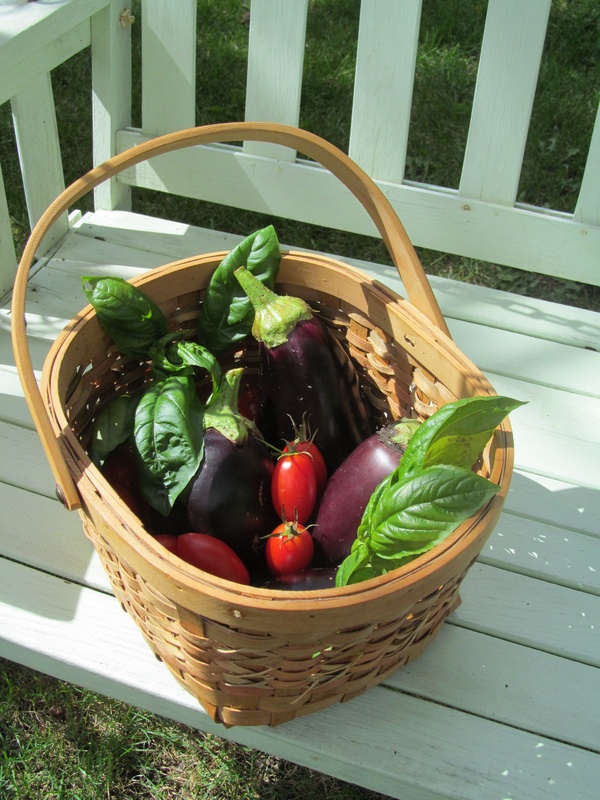 Probably the last basket of garden produce – except for grape tomatoes, they are hardy and prolific, only a hard freeze will take them out. Hotel Fire Cleanup Soon To Be Reality! Fulton County Commissioners, the lead group for the 5 county MVPO for the state,approved the contract via RES 2012-137 on 9/10/2012. Total Environmental Services was provided a signed copy 9/14/2012. Per Total Environmental Services, they are coordinating with Ohio EPA to schedule the work. A representative from Total Environmental Services was at the site this AM, Wednesday, Sept. 19, 2012 to obtain a site map as requested by the Oho EPA. GAZEBO REFURBISHED – The gazebo on the courthouse square recently received a facelift by restoration specialists with The Traditions Group out of Grandview. Workers had noticed the structure’s roof was in less than top shape while renovating the courthouse dome. The new roofing material matches that on the courthouse for a coordinated look, while a new coat of white paint makes the gazebo really stand out. The condition of the benches inside was also improved. A spokesman from the county commissioners’ office said the county paid for roofing materials and labor, while The Traditions Group donated the paint. Thanks to everyone involved in this project. This is a great asset for downtown. Now we just need a string quartet. Oh, and some smooth jazz music. Repair and restoration work continues on the building that houses the Pastime Cafe. The owners, Mike and Marcie Iler, understand the importance of maintaining their building. They do a great job of keeping the inside clean and attractive. Further, they understand that what people perceive from the appearance of the outside of building is how the prospective customer perceives how well the inside is maintained and that it also reflects how the customer perceives the quality of their product. The building is an investment essential to their business, but also it is a major investment that if the building is well maintained will retain its value and be a marketable asset. work is being done, trim and other elements are being painted. The one parapet that was damaged in the storm is being constructed to match the one on the top right side of the roof iine, not visible in this picture. He is considering replacing the second story windows to their original historical size and design. Adjoining building owners should thank this couple for these improvements that also increase the value of the property on the block, you may not think so, but it surely does. If other owners of buildings on either side of this block of Perry St. would just follow this building owners’ lead it would exponentially increase the value and marketability, to sell or lease, of their buildings. This is exactly what it will take to turn this block into a more attractive retail area. When doing repairs, the repairs should be done by professionals who are qualified to do plumbing, electrical and structural construction and repairs, Do not do just a cosmetic fix for it will not last and will have to be addressed again later. Mike is a Paulding and Paulding county landmark enthusiast as is reflected in the many pictures of Paulding historical buildings and landmarks displayed on the walls in the restaurant. Thank you so very much, my pride in Paulding is increasing, a slow increase as it maybe, I am still optimistic Just an incurable optimist. “Make no little plans; they have no magic to stir men’s blood”, Daniel Burnham, Director of the 1893 Columbian Exposition, Chicago. Great Day For An Outing! Today is a great day to attend the Flat Rock Creek Fall Festival at the Paulding County Fairground. Great weather to prevail with midday temperature to be 72 degrees with partly cloudy to mostly sunny skies. So, pack up the kids and head out to the festivities. Many food vendors, some of which demonstrate the techniques used in cooking their products. Live music and many other items of interests for everyone. There is an area with many flea-market vendors and vendors selling craft items. Go to the the festival and get some exercise by walking and also breathe in some of the great fresh cool fall air, or just sit around or mingle with friends and neighbors and indulge in some nice conversation. Festivities continue tomorrow, Sunday, to 5:P.M.
Do it, you’ll be glad you did attend. The cleanup should start soon. Only a procedural matter for the Fulton County Commissioners, the lead group for the state in the MVP, Maumee Valley Planning 5 county organization, to implement. Otherwise everything has been approved. We should all thank the Paulding Chamber of Commerce for locating funding for this project. The County is to replace the grungy and unsightly awnings on the Election Board and Law Library buildings on the square. This is how the improvements that were made several years ago look today. When the improvements were made they improved the overall appearance of the downtown area. When we finally do get new improvements we do not maintain them. This necessary maintenance was discussed 4 years ago and no maintenance has ever, never, been performed on the improvements. Left to continuously accumulate the water will deteriorate the base and cause the curbs and sidewalks to deteriorate. This situation is not acceptable. Further, this current situation poses a trip hazard. The town says it is not their responsibility, but is the property owner’s responsibility. The town could at least show some leadership and try to find a solution. People have said they agree or have an opinion with the posts on this blog but they prefer not to get involved. Getting involved will make a better community. Get involved, post comments on this blog, your identity will not be posted if you do not list your ID.